Perfect for a cost-effective solution to daily scrubbing, the SC450 by Advance offers you a reliable machine that produces high productivity while only needing low maintenance. The unit has a 10.5 gallon solution tank and produces a 20 inch scrubbing path to allow for cleaning everything from smaller rooms to larger offices and schools. The included battery provides enough charge to run for approximately 140 minutes while cleaning where ever you need to without being restricted by a cord. 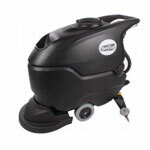 The SC450 floor scrubber allows for easy use through simple and intuitive controls. Two buttons are located on the control panel that allow for easy switching between vacuuming and scrubbing modes. While recovering the solution, the vacuum motor is smart enough to automatically turn off when the tank reaches the max point, preventing overflow onto the floor. The brush motor and water will also shut off when the scrubber is placed into neutral. A safety switch on the handle is also built in to the auto scrubber to completely shut down the unit when disengaged. Also, thanks to the variable pad driven assistances, this walk behind floor scrubber can be pushed long up to a 3 MPH with ease to reduce operator fatigue. Thanks to having open access to all important machine parts and components, the SC450 was designed with easy maintenance in mind. The 11.9 gallon recovery tank can be easily removed for cleaning and inspecting as well as to access and clean the float shut-off. A tool less design has been applied to the squeegee assembly to allow for the blades to be easily removed. This auto scrubber meets LEED-EB and GS-42 standards at only 68 dB and permits scrubbing in populated or noise-sensitive areas without problems. The solution control calibrates the machine’s solution flow, and enables the machine to meet green cleaning requirements by minimizing the use of water and detergent needed to clean your floor. 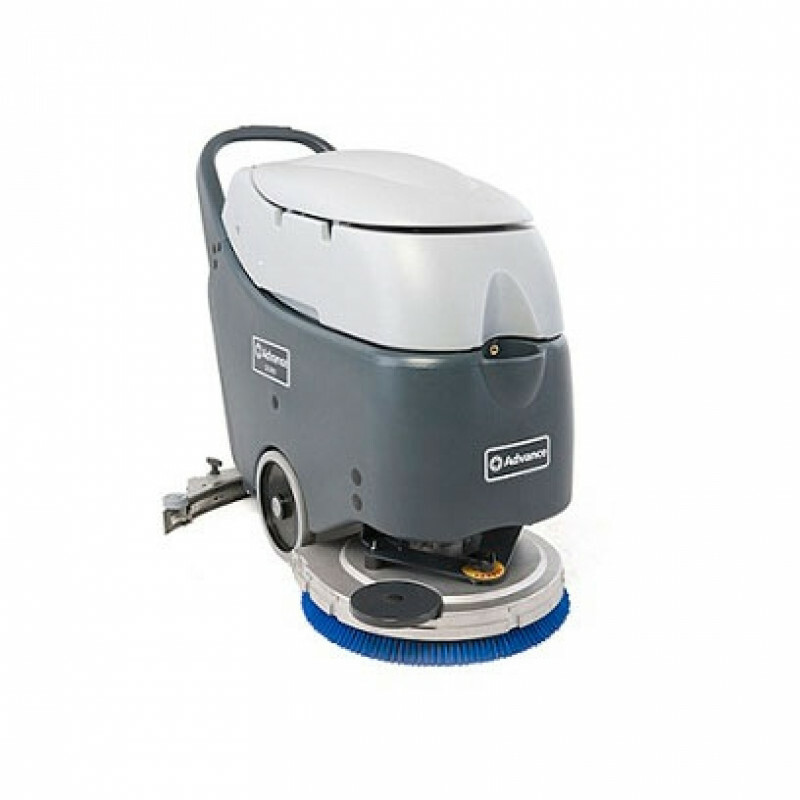 If you are looking for a 20 inch scrubber with a few more options, please view our Advance SC500™ Commercial Battery Floor Scrubber, which is a lot like this scrubber, but offers a larger solution tank, longer run time, and more control options.